These Slender Sign Supplies For Interior Use Are Designed To Give A Long Lasting Glow To Your Signs! Make Your Advertisements Shine! These Sign Supplies Are In Stock! 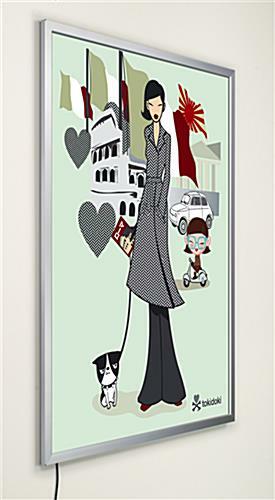 16" x 20" 18" x 24" 20" x 30" 22" x 28"
Thin profile (.83") is easier to mount to a wall or flat surface. LED bulbs remain bright for up to 11 years of constant usage! Acceptable LUX readings demonstrate brightly-lit displays. 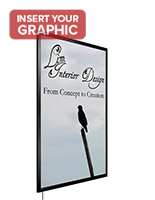 Affordable price lets you focus your budget on designing quality graphics. Minimal energy costs. Learn more. 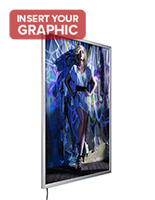 Holds standard-sized 24" x 36" translucent graphics. Limited light diffusion may result in hot or cold spots. No switch to turn lightboxes on or off. 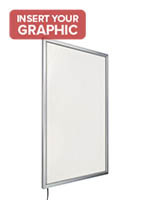 Sign supplies, also known as lightboxes, can often be discovered in commercial or professional locations to announce forthcoming occasions or sales. They are great at enticing all sorts of viewers and potential customers. The well lit signage, durable sign supplies that bracket to the wall can make any publicizing images really get noticed in a congested setting. They function best when paired with translucent signs. These sign supplies that require less energy will survive all through long-periods of usage while remaining vibrant and thereby prosperous. They are engineered to be left on for extended periods of continuous usage. 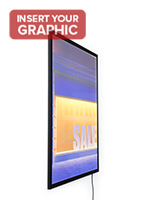 Merge quality sign supplies that advertise products into your next presentational exhibit to reap the advantages from this uncomplicated yet highly potent way of directing awareness towards a display. 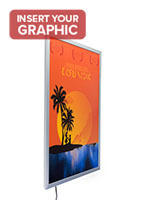 These ready to buy sign supplies with mounting hardware, utilizing LED technology, give you a low-maintenance and affordable means to illuminate any poster-based exposition. 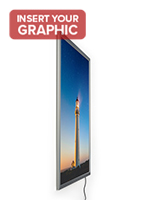 These well lit frames are clip-open sign holders engineered to accommodate 24" x 36" images in a portrait or landscape orientation on a wall or other flat surface area. 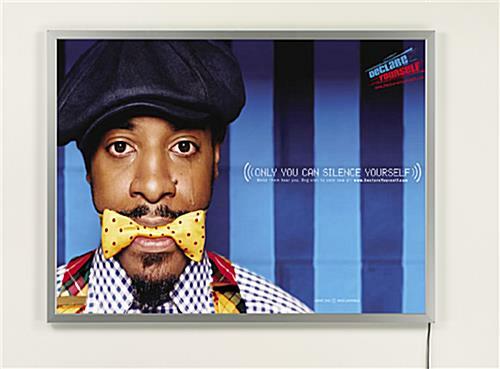 The sign supplies feature with LED bulbs built into the sides of the case to make backlit light boxes, more fully projecting an image's message. Our company consequently suggests utilizing translucent signage to better highlight the image inside the exhibit. 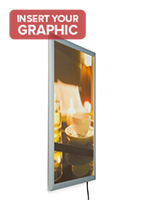 These sign supplies with silver frames, also recognized as backlit displays, feature better price points than common LED signage because of their basic diffusion pattern. Despite the fact that this may result in some hot or cold spots inside of an exhibit, its low expense and simple and clear design outweigh this small disadvantage; most won't even notice. 25.5" x 37.5" x 0.9"